You may have guessed by now, we LOVE Stacked! We have enjoyed being invited to try their new seasonal menus and taste the latest and greatest items. What makes Stacked so great? Honestly, while the food is wonderful, I love the people that work there! The customer service at Stacked has been exemplary every time. At every location I have tried, the staff has given their own personal favorites to try. A manager has often walked the floor to get feedback to see how they could improve on our experience and the personal touch has never been lost on me. My latest lunch date with my hubby was no different. I had ironically dropped off my daughters last Girl Scout Cookie boxes to a friend when we decided to meet up for lunch. 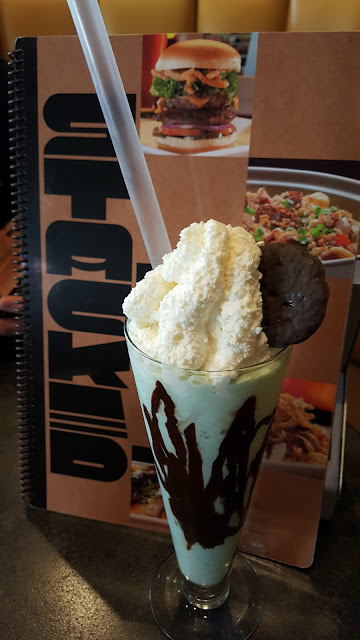 The first thing that caught my eye when I walked in the Huntington Beach location was a Thin Mint Cookie Shake. It was meant to be. While I would have been perfectly fine with a Thin Mint Shake lunch, I felt I at least needed a protein in my day, right? 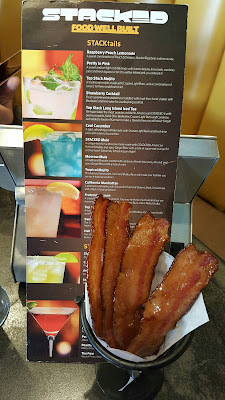 Okay, Candied Bacon it is... Well, I can't go to Stacked without Candied Bacon! I might have mentioned that before. No, I didn't just eat my shake and bacon as tempting as that was. I have to be an adult right? 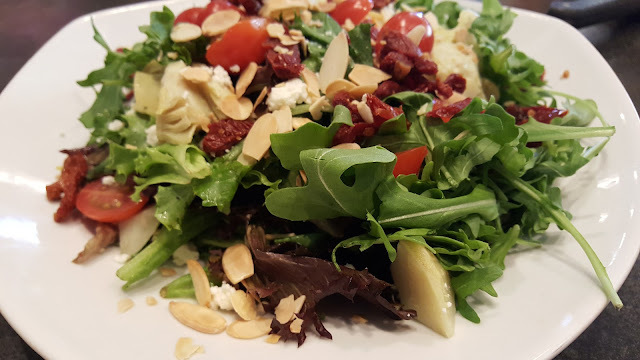 My adult meal included this DELISH arugala salad, perfect for early spring. Remember, you can add and remove a long list of choice sides. The only thing I added to my salad this time was sun-dried tomatoes. It was a good pairing with the champagne dressing. My husband, being a man, chose to forgo the healthier choices and chose the Ghost Chile Burger. Expecting a lot of heat he was pleasantly surprised at how much flavor the ghost chile added. 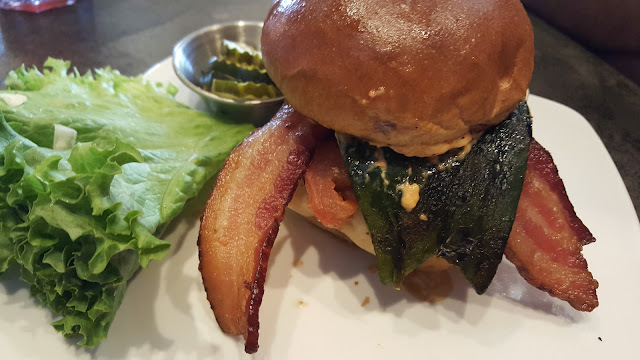 He also added bacon to the burger buy promises to add the jalapeno bacon instead of the smoked bacon for more heat. Another lunch that I just can't say enough about! I loved learning the history behind Girl Scout Cookie Shakes! 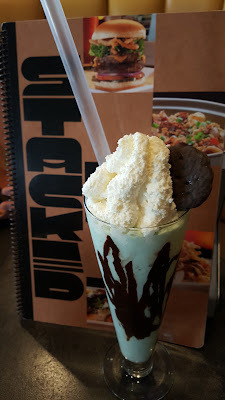 The manager's daughter came up with the Thin Mint shakes and if you were lucky to try last years, Samoa Shake. While I was envious of not thinking about making a shake from my daughters own cookies, I was happy to try theirs. Thanks again, Stacked for a wonderful lunch date with my husband! I can't wait to see what you have planned for Summer!